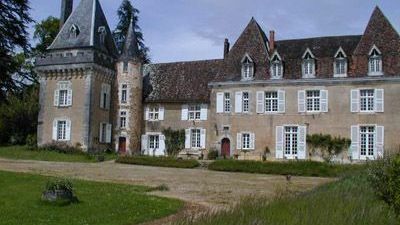 Dordogne Perigord Vert / CASTLE WITH 75 HA 8 5 HOUSES AND BARNS PERFECTLY Ungroup. After a bridle path of 1 km we arrived at the castle of the XV and XVII of fortifications built on the twelfth. In dominant position with breathtaking views it offers 700m2 of living space. 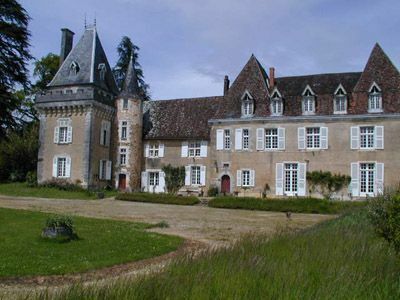 75 ha in one piece with a stunning mansion duXVème, 5 houses including that of guardian and eight barns, all in very good condition and perfectly separated. Stone staircase, oak floors, woodwork. Living room, office, library, dining room, kitchen, ground floor with the park and large openings allow all to live with this the splendor of the past.